BTSCelebs is opening the pages of best-selling Christian author Karen Witemeyer. I’ll be reviewing her latest book “Full Steam Ahead” in the coming weeks. Stay tuned to BTSCelebs for the complete review! 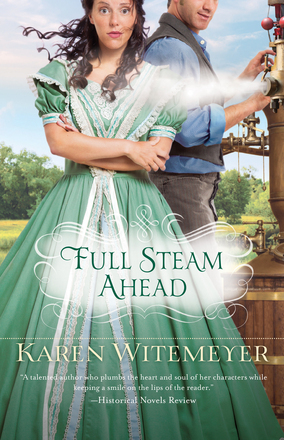 This entry was posted in Books, News, Reviews and tagged Full Steam Ahead, Karen Witemeyer. Bookmark the permalink.